Just been reading Chavenders "the on/off/on again off again Spanish reed rod resturation project" which appears to be a timely warning for my current project. I am converting a Bennet's of Sheffield Spanish Reed match rod into a 2 section landing net handle. 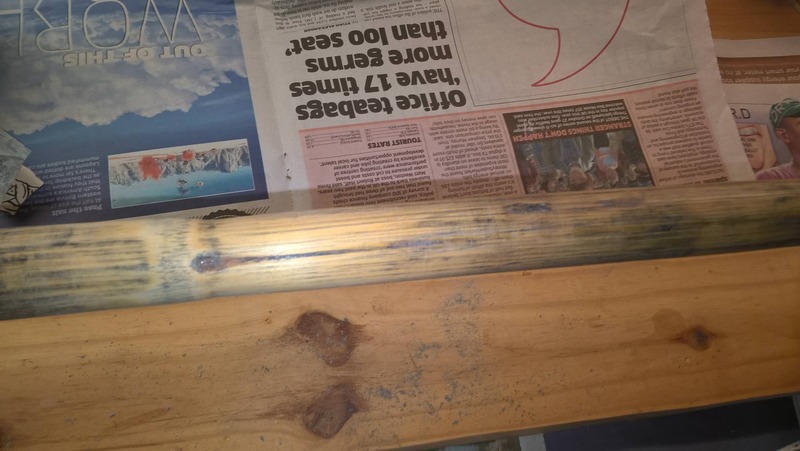 It was painted black and I fancied a more natural look so I removed the paint but found that it had seeped deeply into the reed and would require a lot of sanding to remove it. Then I red the above piece, this rod appeared to have major cracks under the paint, looking at mine it looked fine so I put a coat of varnish on just to see how it would look, despite the ingrained paint. This revealed cracks in every section from ferrule to but, Oh dear! 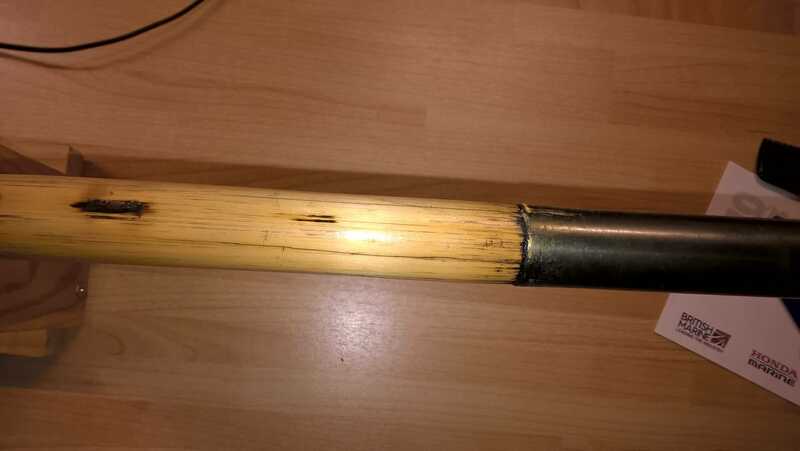 I have put a fair bit of pressure on the reed and the cracks seem to be stable, rather than scrap project I think a bit of glue in the cracks and a dowel down the end of the ferrule, plus an extra bit of whipping should be OK for the size of fish I catch. Was there a follow up to this piece because I would be very interested to see how it went, meanwhile I will agonise over to paint or varnish. Yes I think you are spot on, I have tried a small sample with mahogany stain and it gives a lovely mellow colour. Starting on the mid section, low and behold even more splits. I think for a lightweight pole it will be fine but more worrying is that I have 2 Allcock's and a really nice Albert Smith of Reditch, reed rods waiting for a bit of a spruce up. If I may be as bold to say Sir, with multiple splits is it worth it? Be a terrible shame to spend a lot of time and care over something that may well fail on its first outing. Just my opinion you understand and please don't take offence. No offence taken Paul, the same thought has crossed my mind, so I have put quite a bit of pressure on both section across my knee, probably much more than the fish I catch will ever do. But you are right and it may end up as just a bit of practice and be cannibalised for the mark 2 version which will most likely be in new cane. Interresting project, you can now buy 15mm Tonkin cane poles from Ebay if you wanted to make some thing stronger.